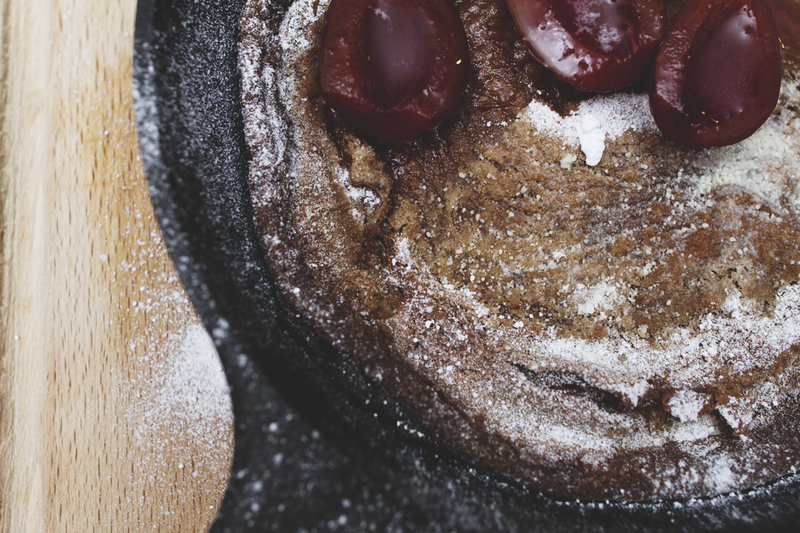 Nutella Dutch Baby Pancake. For Breakfast. For Lunch. For Dinner. Oh my…. these are sooooo good. Soooo soooo good! I was inspired to make some pancakes, just like the ones that we’ve had at the pancakes! place in Amsterdam. Savory ones with spinach and melted cheese. 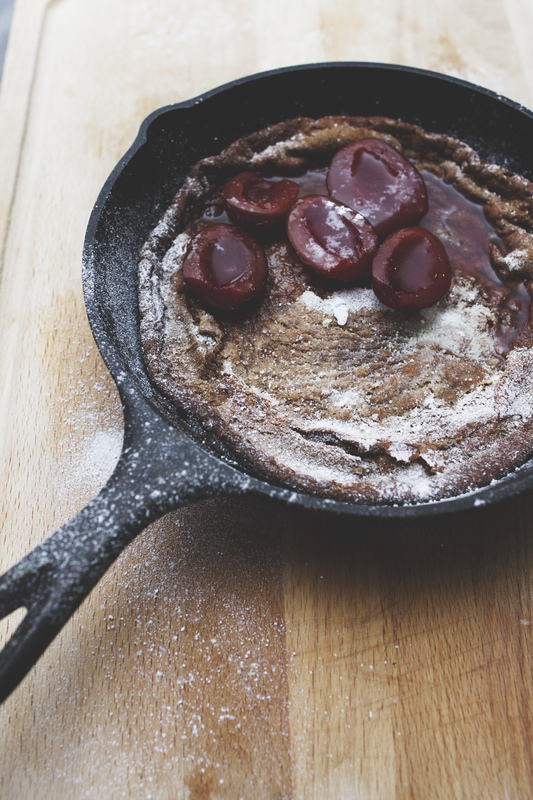 But then things went slightly different… I stumbled across recipes for Dutch baby pancakes and they just looked so good I couldn’t resist trying this instead. Earlier today Namie from Eat With Me Istanbul took me to Eataly Istanbul – I don’t know why I haven’t been there so far. I LOVE this place! I was a bit overwhelmed with choices so walked out with some coffee, pasta, cheese, nutella and the certainty that I will be back for more! 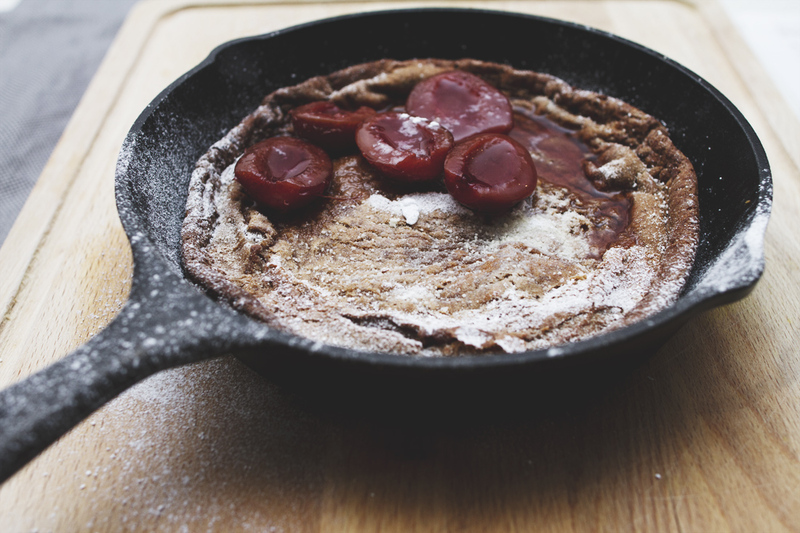 So I had to put to use the nutella and the syrup plums that I got, so slightly amended the traditional dutch baby pancake recipe and turned it into a nice dessert! 3. Remove the skillet from the oven, add the butter and the bottom will be covered in melted butter. 4. 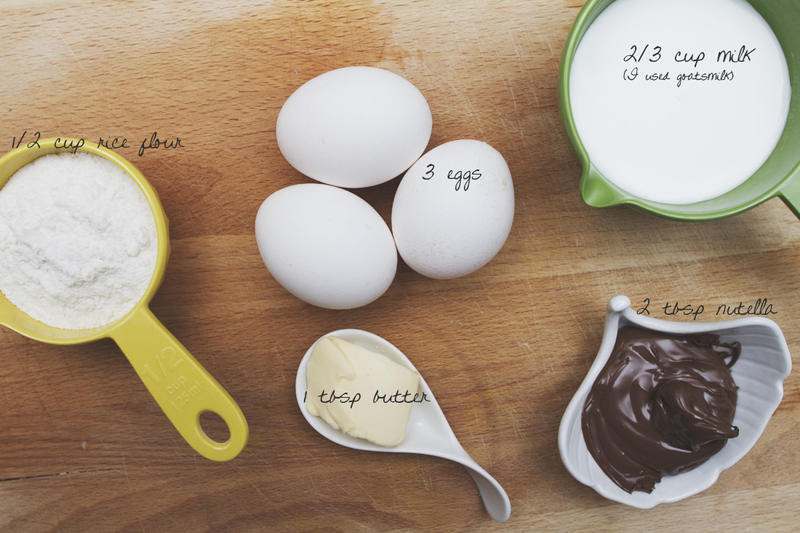 Pour in the rest of the batter, it will instantly bubble a bit on the edges. Place into the oven and bake for about 15 minutes until the sides puff up and the entire top turns slightly brown. 5. 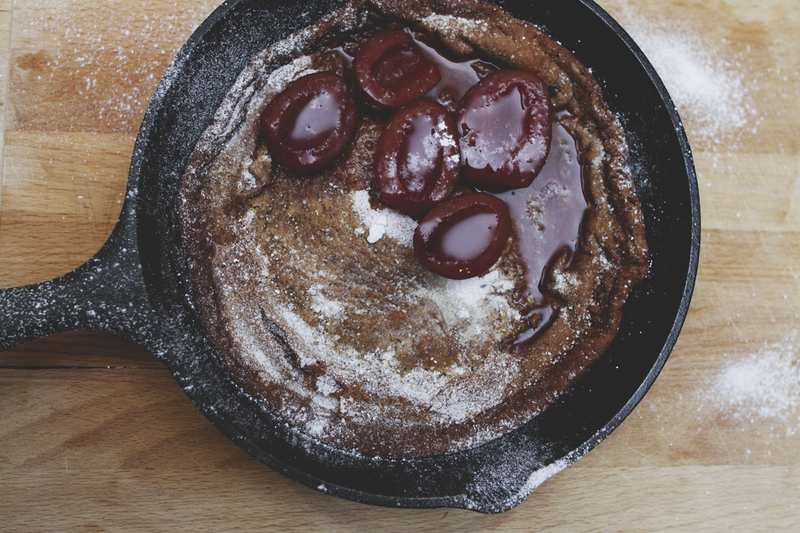 Add plums and icing sugar, serve immediately. Posted in Breakfast, Little TreatsTagged breakfast, chocolate, dessert, skillet, sweetsBookmark the permalink.